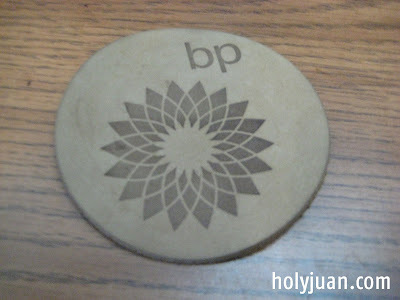 A leather coaster with an oil company logo on it. It's a fitting place to put your teak cup filled with seal's blood. hey, I couldn't figure out where that had disappeared to - glad it was for a good cause.